You are here: Home / Social Computing / Grassroots activism and open source – coming soon, at Open Source Bridge! 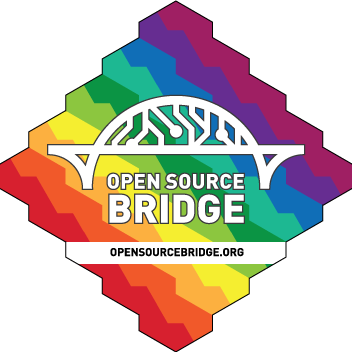 Grassroots activism and open source – coming soon, at Open Source Bridge! w00t! I’m delighted to announce that my proposal for a Open Source Bridge session on Grassroots activism is hard. Can open source help? has been accepted! Thanks to Aditi Juneja, Harry Waisbren, and Chris Benson for the feedback on earlier versions. Grassroots activists have to deal with many challenges — including the tools they’re using. Sounds like a great opportunity for open source! This session will survey progressive and transpartisan grassroots activists’ needs and today’s solutions (including techniques that work for explicitly intersectional groups), look at some existing open-source offerings and how they could evolve to better meet grassroots activists’ needs, and identify future directions that could be even more impactful. You can read the whole proposal here. Open Source Bridge is “the conference for open source citizens”, and one one of my favorite conferences. There are lots of other great proposals (I’m especially looking forward to the one on Federating with Trouble by the toot.cat admins), so by all means check out, if you’re interested in open source software or diversity in technology. The conference is from June 20–23; session my tentatively scheduled for Thursday, June 22 at 10 a.m.. If you’ve got any thoughts on those, please share — here, on Twitter, or on Mastodon, where I’m @jdp23@toot.cat!